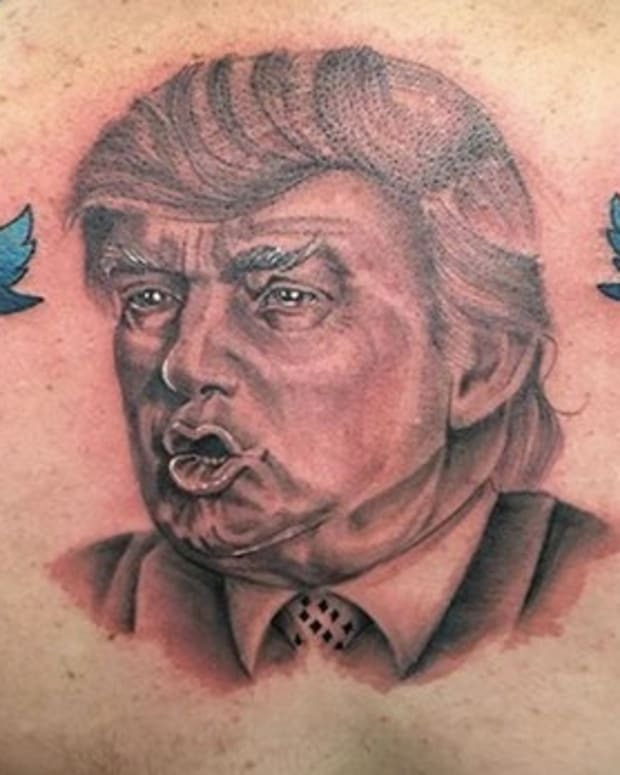 Donald Trump has been elected to become the 44th President of the United States, and yes, people do already have "Trump Tattoos." In one of the most-polarizing elections of our lifetime Trump has taken enough electoral votes to become Commander-in-Chief of the most-powerful nation in the world. 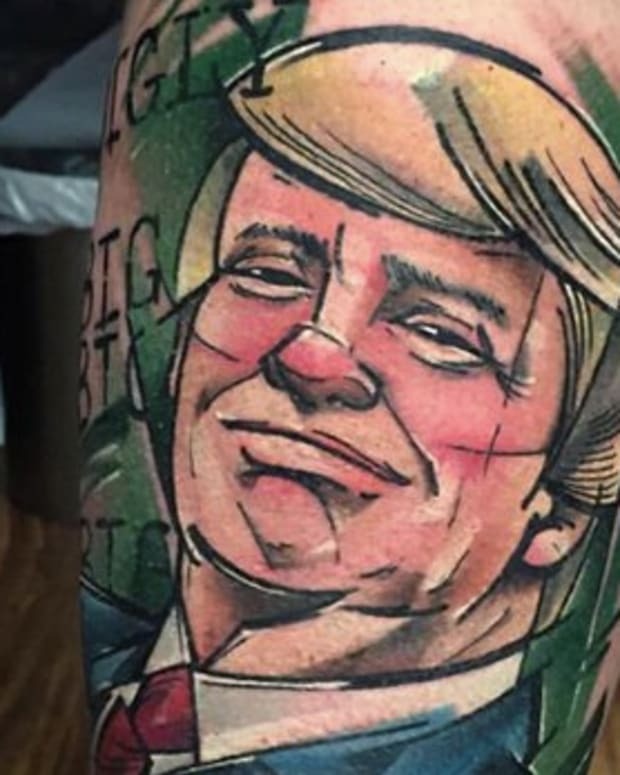 And to echo the sentiment of the American people (who were split on Trump as he lost the popular vote to Hillary Clinton) some of the Trump tattoos mock The Donald and some are a permanent commitment to an interesting man. 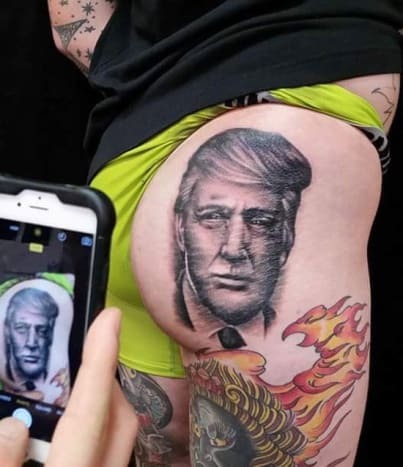 Being the leading source of tattoo curation on the planet we don&apos;t present all of these tattoos as examples of good work, but rather a reflection on what types of Trump tattoos are currently on the skins of the electorate. 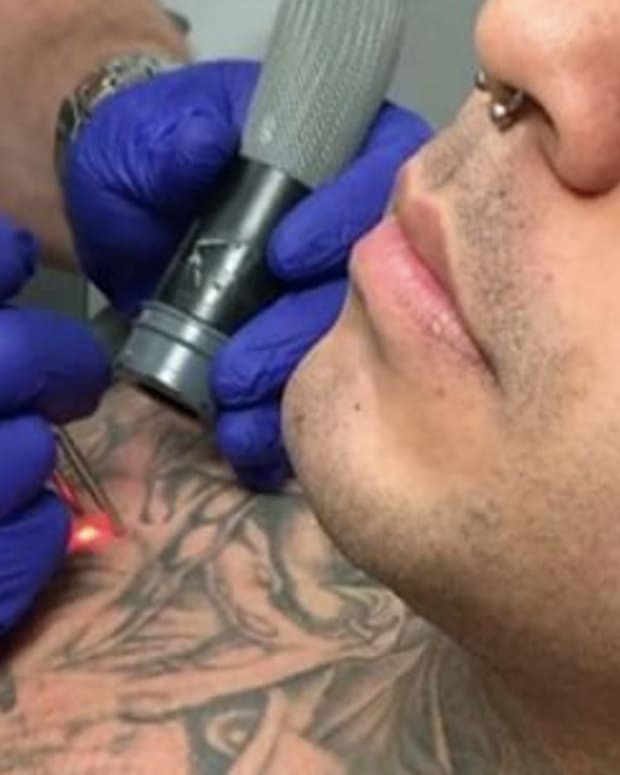 Many tattoo artists will tell you that the most-difficult part of a portrait tattoo is making the person&apos;s hair look realistic which certainly presents a challenge when the man with the most-unwieldy hair in the USA is the subject of these tattoos. 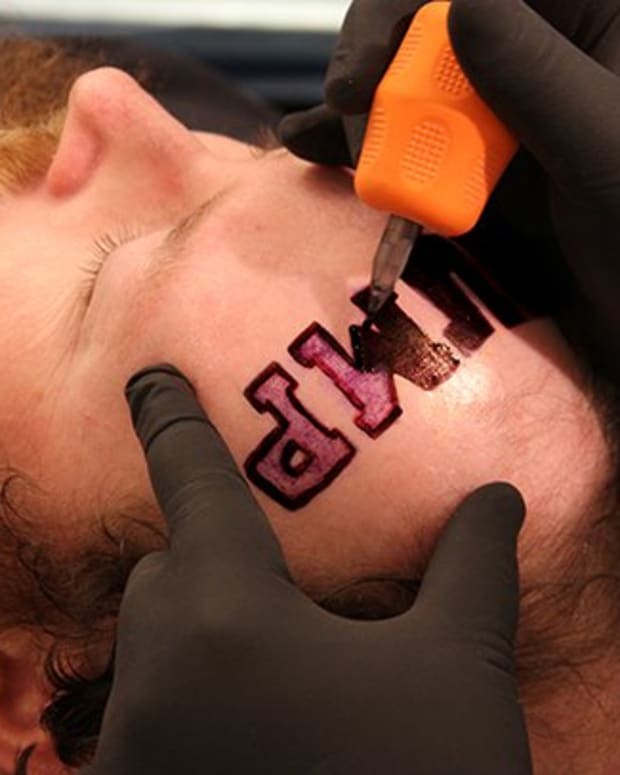 Along with some of the Trump ink that real people really got we also have included our April Fools&apos; Day joke in which a staffer faked getting the words Trump tattooed across his forehead. 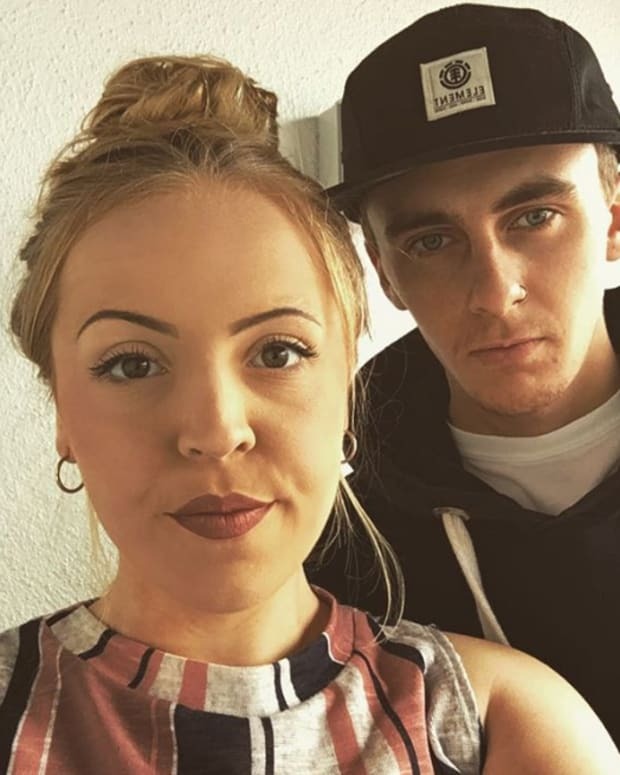 That particular article went so viral that Snopes.com was forced to report on it. 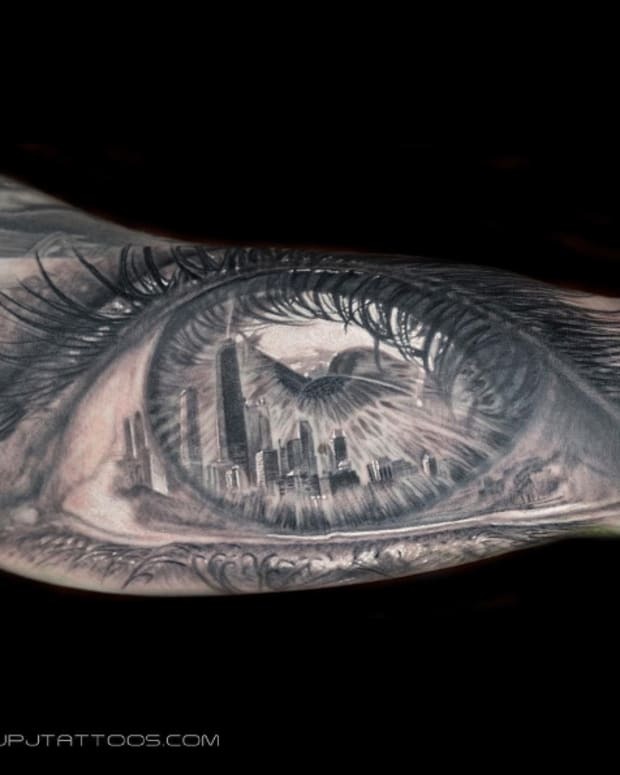 At the moment we have yet to find a tattoo that is both flattering of Trump and worthy of winning a tattoo contest, but as Donald Trump becomes the leader of the free world we expect to see many more Trump pieces on American skin (particularly of the orange pigment). 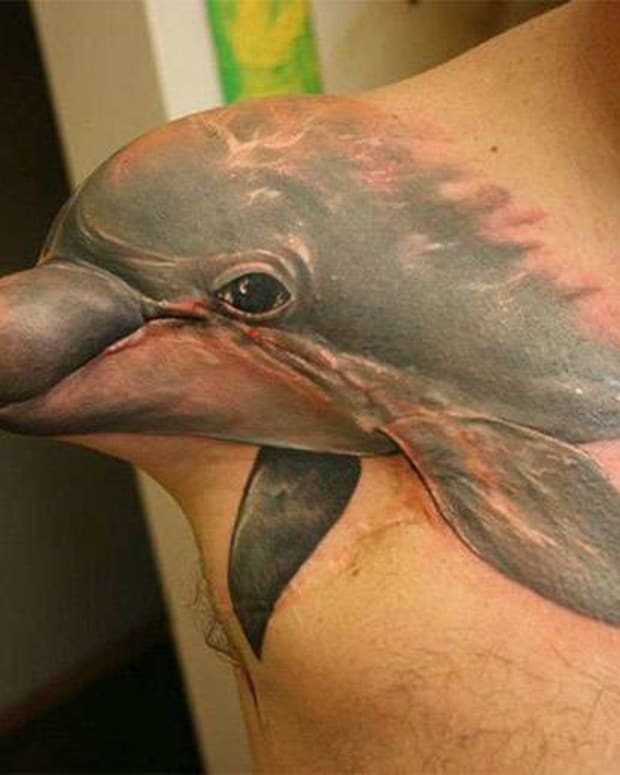 Good work by Jared Warf.